GI JOE FSS 8.0 PREORDERS and REVEAlS! GI JOE 2018 CONVENTION EXCLUSIVE PREORDERS! 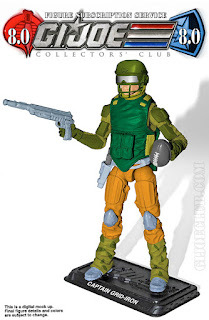 GI JOE 30th Anniversary POC Renegades - Restocked! GI JOE and Cobra 25th Anniversary, Cartoon, Comic Series Toy Action Figures Section Updated! GI JOE 50th Anniversary Restocked! Guru Planet - Cool Customs MOC!!! Boss Fight and MTF Action Figures and Accessories. SALE! GI JOE New 50th Anniversary IN-Stock!! Stocked in Vintage VEHICLES from 1984-1996!